With our in-depth domain expertise, we manufacture and export Boutique Fabrics, which are manufactured using advanced techniques. 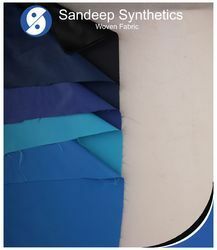 Designed in accordance with the latest market trends, these fabrics satisfy the varying needs and demands of our fashion conscious customers. Available with us in beautiful prints, elegant designs and various patterns, these are provided at industry leading prices. Color : Block print in blue, yellow, red on white base. Use: Ladies Suit, Lehenga, etc.